Constance A. 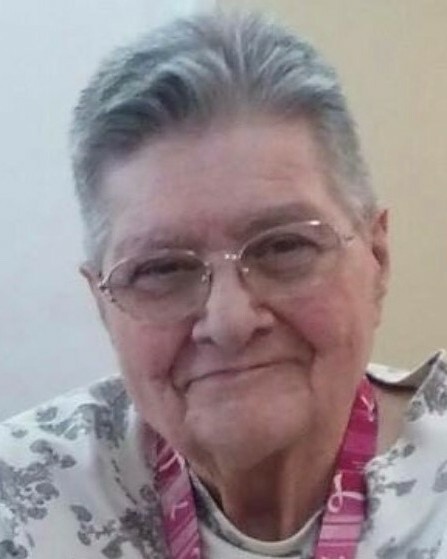 “Connie” Boucher, 82, of Unionville, formerly of Plainville, passed away Tuesday, December 4, 2018 at John Dempsey Hospital in Farmington. She is now reunited with her beloved husband, Mac E. Boucher, who predeceased her in 2008. Connie was born on October 21, 1936 in New Britain, daughter to the late Dominic Tagariello Sr and Mary DeRosa. She was a faithful Catholic who prayed the Rosary daily and was formerly a communicant of Our Lady of Mercy Church. Connie was a talented crafter and enjoyed sharing her work with others. She formed and ran “Busy Hands,” a crochet and knitting group of people who were devoted to creating apparel to be donated to others in need. In addition, she enjoyed taking trips to the casino. Connie is survived by her children, Robert Snedeker, of Wallingford, Allen Snedeker, of TN, Darlene Pastor, of Bristol, Nancy Boucher, of New Britain, Francis Boucher and his wife, Cindy, of Plainville, and Constance Boucher, of Unionville; her brother, Donald Tagariello; her sister, Jennie Andrusio; 14 grandchildren; 37 great-grandchildren; and several nieces, nephews, and extended family. A funeral service in celebration of Connie’s life will be held at 4 PM on Saturday, December 8, 2018 at Bailey Funeral Home, 48 Broad St., Plainville. Family and friends are welcome to gather at the funeral home prior to the service from 2 to 4 PM. Burial will be held at the convenience of the family.